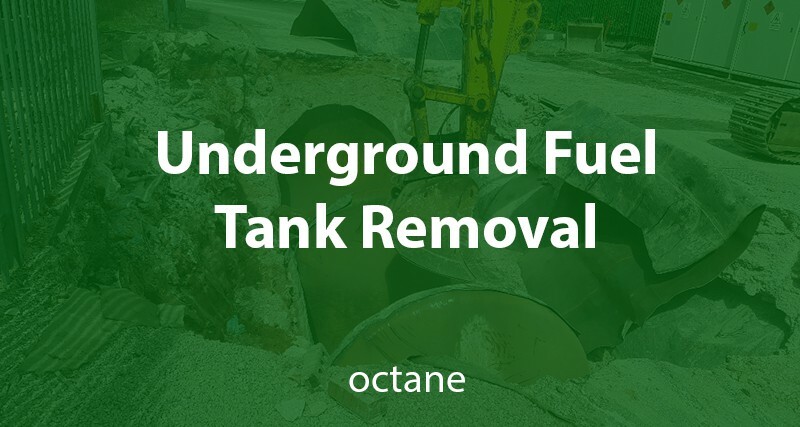 What steps must you take when removing underground fuel tanks from an old refuelling station? Old refuelling stations can be an unusual and lucrative purchase for commercial property developers. And if done properly, they can achieve a profitable return. However, you need to know what’s involved with dismantling an old refuelling station first – including underground fuel tank removal and decommissioning. What does underground fuel tank removal and decommissioning mean? Underground fuel tank removal and decommissioning means to close and take out all pipes, fuel storage tanks and any other connected, linked or associated equipment that might pose a health and safety risk. What steps need to be carried out when removing an underground fuel tank? 1) A full risk assessment of the removal, i.e environmental factors and whether the tanks are live or have been temporarily made safe. You should be able to plan how long the underground fuel tank decommissioning will take from start to finish, how much it will cost, what manpower is required, who might be affected by the decommission (local businesses and residents) and what environmental risks might occur. 2) Samples of the surrounding ground soil and water must be taken and to be checked for contamination before, during and after the underground fuel tank removal. You’re likely to need professional advice and guidance for this, so seek a specialist consultant like Octane for help. 3) Remove and clean up any residual substances from pipes and tanks- this is known as bottoming. This is a hazardous activity so appropriate safety gear should be worn like gloves, helmets, masks. Once removed, the substance needs to be disposed at an approved waste or treatment facility. Always use a professional company with relevant expertise to carry out this task. 4) Make safe and remove any harmful, explosive and toxic gases that may remain in the tanks and pipes after bottoming. You can do this by filling them with inert gasses or water. Ensuring any water removed, is disposed of as above – in an approved waste or treatment facility. 5) Clean and remove pipes, tanks and any other equipment. Again, dispose of the equipment with a recycling partner. 6) Ensure surface water (e.g. puddles, rainwater, condensation) doesn’t enter the site when you’re excavating. If it becomes contaminated it will need to be treated and disposed of as hazardous waste, creating more work for yourself. There are numerous other steps which need to be completed, too many to go into in this post, however hopefully you’ll now have an idea of the tasks and risks involved. Buying a refuelling station to build property on, sounds on paper, like an idea you could make an easy return on. However, you need to follow strict procedure to ensure the short and long-term safety of those who will be working and living there. You will need to make an assessment of the former refuelling station, carry out a survey to establish the number of fuel tanks on site and establish whether they are still live, temporarily decommissioned or permanently decommissioned. You will need to decommission all old fuel apparatus on site and test the ground water and soil for contamination throughout the decommission. The whole process is long, time-consuming and high risk, which is why you’ll need to get a specialist involved so the process is completed properly and you won’t have to worry about any legal action in the future. If you need further help clearing up an old refuelling site give us a call today on 0113 2012 460.